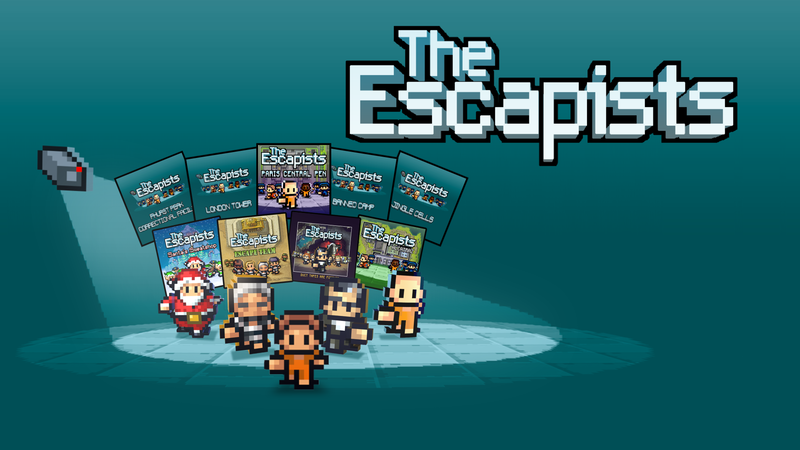 The Escapists: Complete Edition available now on Nintendo Switch! Experience the game that started it all with The Escapists: Complete Edition, available today on Nintendo Switch eShop. With all DLC ever released – including a prison never before seen on consoles – this is the ultimate way to experience the prison-escaping sim! The Escapists: Complete Edition is available to download now for Nintendo Switch for just £9.99 / $14.99 / 14,99 €. Multiple ways to escape – A variety of different methods to bust your way out including digging out and prison takeovers! Deep crafting system – Gather the necessary items you’ll need to craft items for your escape plan. Craft tools such as Cutters, Shovels, Sheet Ropes and weapons such as the Sock Mace, Comb Blade or Cup of Molten Chocolate!